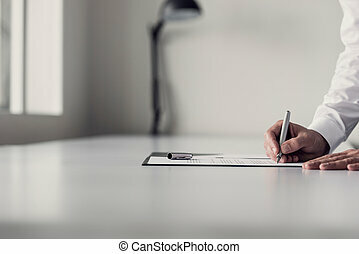 Businessman or attorney signing a document, contract or legal paper on his office desk, low angle view between his arm of the paperwork. 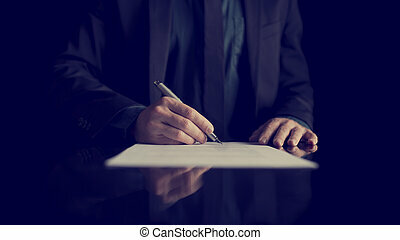 Businessman signing a document, retro effect faded look. 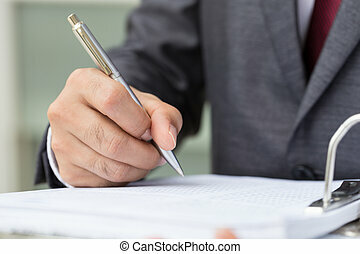 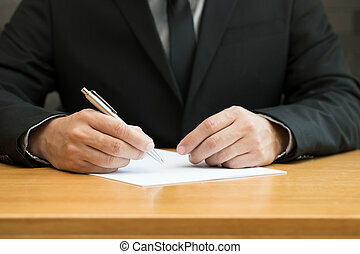 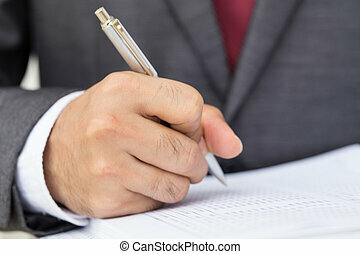 Close up low angle of the hands of a businessman in a suit signing a paper document with a fountain pen on a reflective desk top. 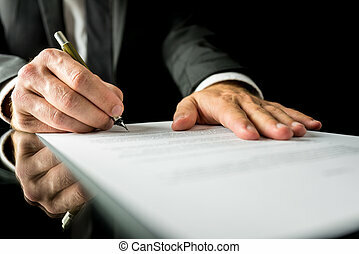 Cropped view of a businessman signing a contract. 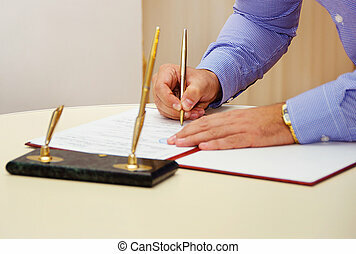 Shallow focus on signature. 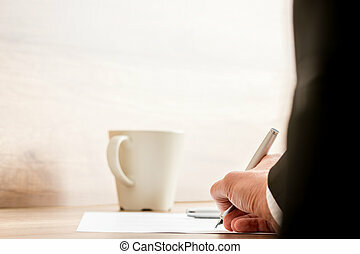 Businessman signing a document or contract with a mug of coffee standing on the desk, low angle view between his arm of the paperwork. 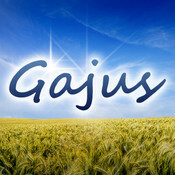 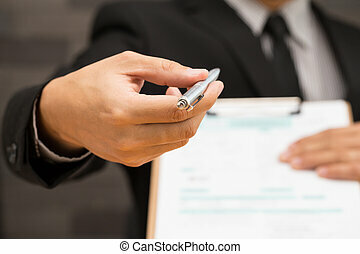 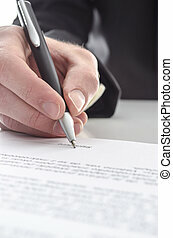 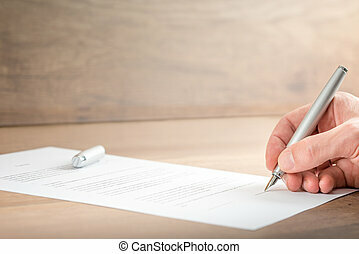 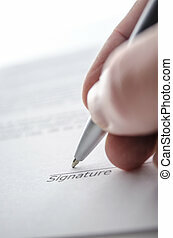 Businessman signing a document or contract in the office, close up horizontal banner format of his hand and the paperwork with copyspace. 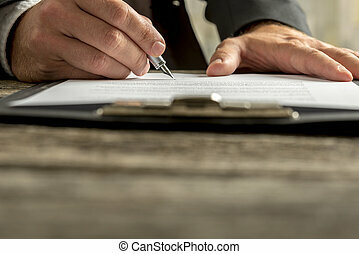 Close up Hand of a Businessman Signing a Contract Document on Top of a Wooden Table. 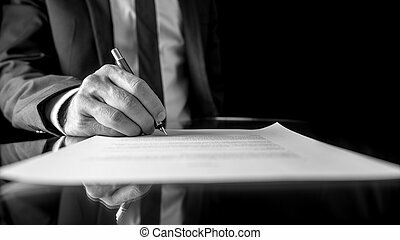 Black and white low angle image of the hand of a businessman in a suit signing a document or contract with a fountain pen on a reflective surface. 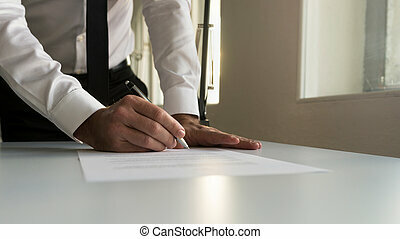 Businessman in office signing contract, document or legal papers with a natural sunlight from behind. 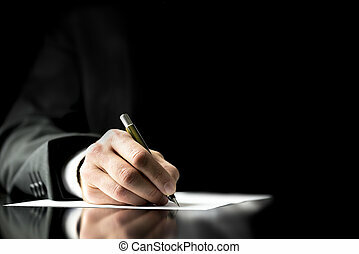 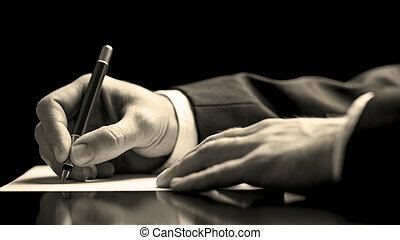 Retro image of businessman signing document or contract with silver pen on a black desk with reflection. 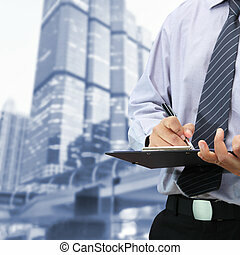 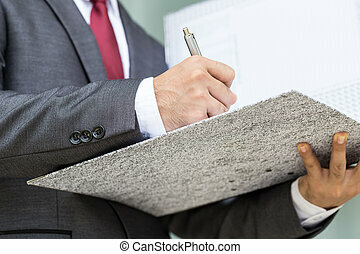 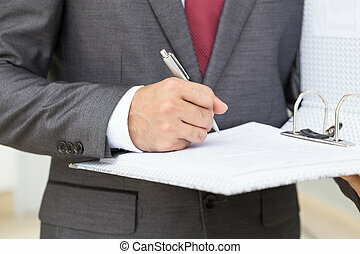 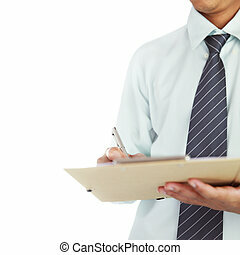 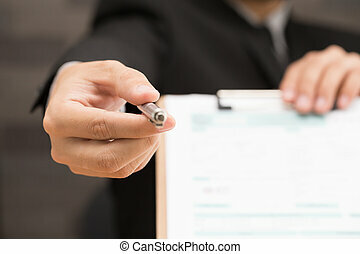 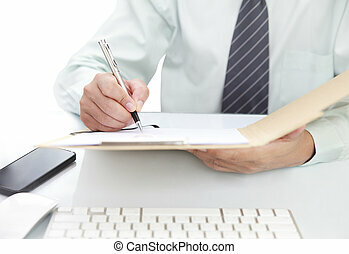 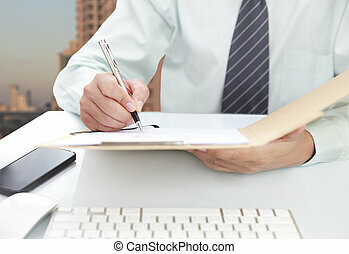 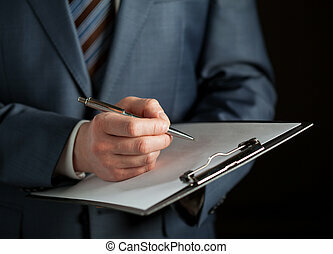 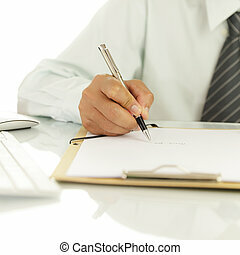 Businessman signing contract, document or report in a binder while standing at his office desk. 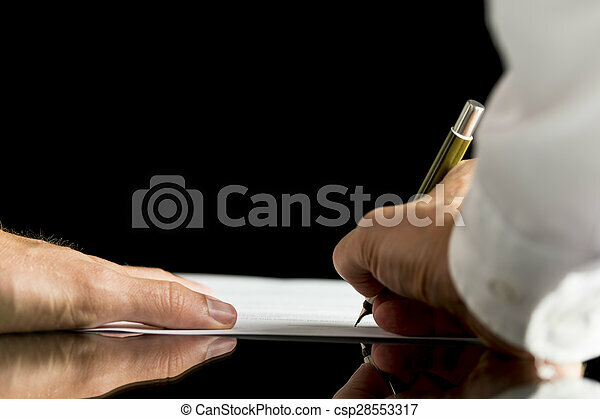 Signing a contract above signature line. 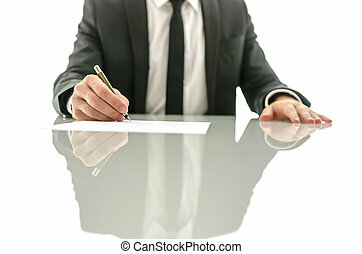 Businessman signing contract on white desk. 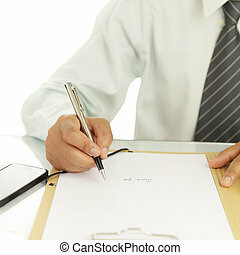 Closeup of businessman signing contract, document or legal papers clipped on clipboard with fountain pen.